Condensation forms on the windows in the cold months and this may attract insect pests, rot, mold and lead to home decorations and plaster to blister and peel. When this happens between the glass panes, it looks unattractive, and your glazing work seems faulty. Thus, your house will stay warm, and the fuel bills will get reduced. It is not that simple to prevent moisture in the air within your home. Moisture encourages mites that may be the reason for hay-fever and asthma to develop. You may hire glazing experts to repair broken double glazed window and improve their overall look. Better glazing – The space between the window panes should not mist up because only dry gases or vacuum need to occupy this void. 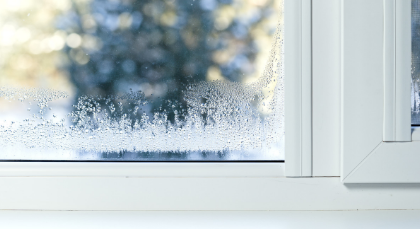 Thus, the less effective your double glazing might be for home insulation, the colder the inner window surface will be that will make condensation worse. Opening windows is usually the simplest solution. However, it is not what anyone will want in cold weather. It is also considered to be an invitation for the burglars. Make sure you give your house a regular airing that will contribute to avoiding the damp, depending on the condition of weather. Fans are a great way to keep air circulating. Though you do not remove moisture from your house, the fans can be used to prevent condensation in problematic areas. For example, moisture will often accumulate at the far-end corners of the house, in case of a cold upstairs bedroom. Extractor fans should be installed in the bathrooms, kitchens and extractor hoods over the cookers. Dehumidifiers are quite useful, and many of them are combined with air filters that are a boon for hay-fever and asthma sufferers. These are reasonably priced, and the old ones produce some background noise that irritates when you hear the television. Thus, the running costs as well as prices of integrated heating and air-conditioning systems (HVAC) have been improved to a great extent and guarantee comfortable air quality. You may visit our website to book a glazier and prevent condensation on double glazed windows.